A mentor and mentor to many a great interior designer. Randall is the real deal. 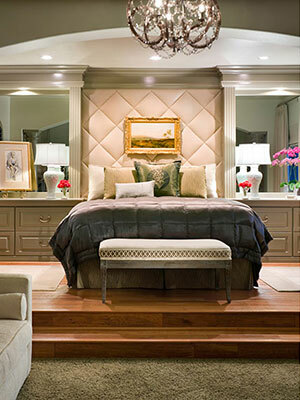 Always aware of the look and feel of the fabric, to the mood of the room set by the color and combination of pattern. Randall is a true professional in his field. He naturally controls his designs to the client’s life styles and changing needs. His ability to work in large and small spaces amazes me, every time I see his work. My professional experience with JRC Designs started with luxury retail, working with Randall on a store on Rodeo Drive and later using his greater knowledge to assist me with large residential project in the Hamptons. His wealth of knowledge is such an asset to both associates and clients. I would recommend JRC Designs to my family and friends for all interior and exterior projects. Randall transformed out cookie cutter home in Anthem Country Club into one of the most beautiful and unique spaces to live in. Every day we comment on how happy we are with the home. In particular, his willingness to look for well-priced, but unique items, his vision, his creativity, and his passion for his customers, sets him apart from all others. I know that he will not reproduce my home for someone else, rather he makes sure each space is truly reflective of the individuals that will live there. Randall has been doing business with my mother-in-law for years and has helped her make selections on at least 2 custom homes in Las Vegas and a condo in LA. I am certain that her condo is the best decorated in her complex in Brentwood. Randall helped me make selections in my custom home (paint, cabinets, wallpaper, tile, etc.) pick some key furniture pieces to be custom made and helped me recover furniture given to me by my mother-in-law. I can’t describe what an impact this has made for me. I love my new home and can’t imagine ever living somewhere else. He helped me make it a home that is friendly for my 3 and 5 year olds while also being great for entertaining. Randall can decorate for any type of person and within most budgets. I can’t recommend him highly enough.